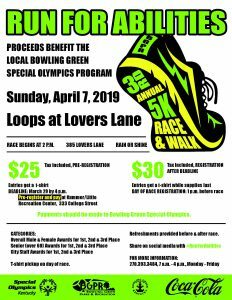 The City of Bowling Green will hold their third annual Run for Abilities 5k Race and Walk at the Loops at Lovers Lane on Sunday, April 7th, 2019 at 2 p.m. All proceeds will benefit the Area 5 Special Olympics Program. 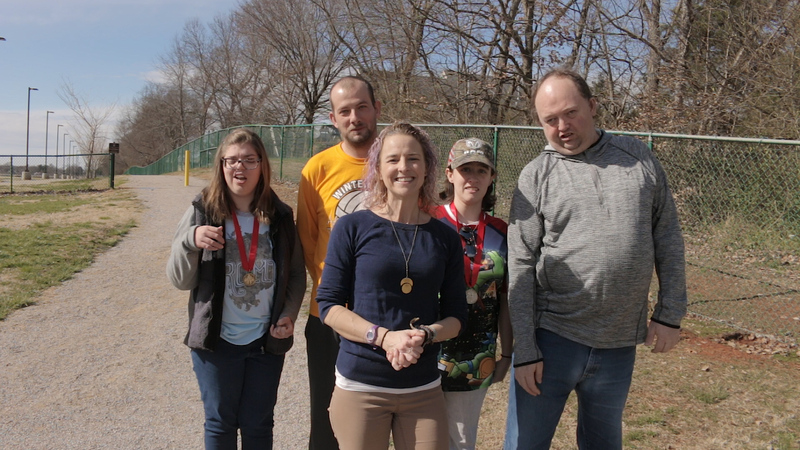 Area 5 Special Olympics is a twenty-county region surrounding Bowling Green that is dedicated to providing the following quality events: Area 5 Bowling Tournament, Special Olympics Kentucky Regional Softball Tournament, Special Olympics Kentucky Regional Basketball Tournament and Area 5 Spring Games. Any person who wishes to volunteer or with an intellectual and/or physical disability that wishes to participate in Special Olympics should call Special Populations for more information at 270-393-3487. 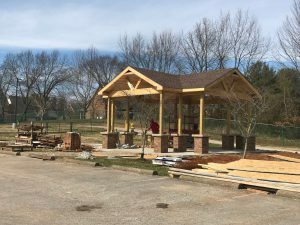 The 5k race will begin near the new shelter at the right side of the park and will follow the 1.6 mile trail approximately two times. 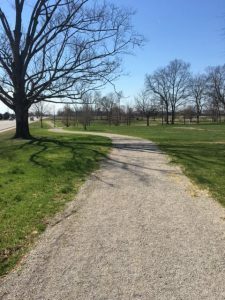 Pre-registration for the race is $25, or $30 the day of the event, and all entries will receive a goody bag and t-shirt (while supplies last). 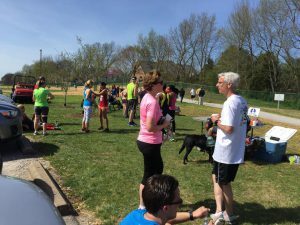 Winners will be announced for overall male and female, senior male and female and City staff male and female. 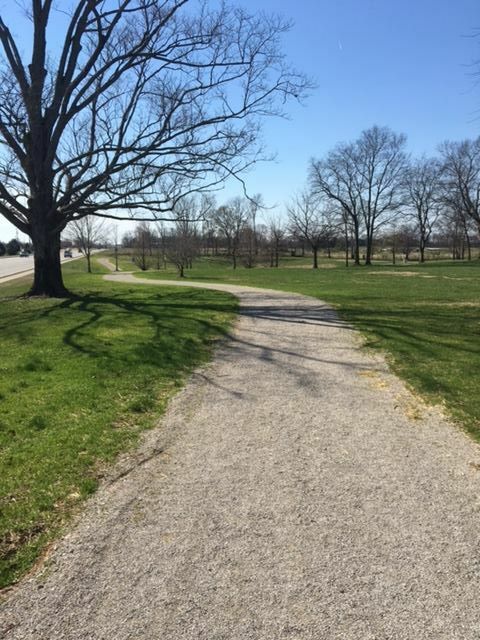 Registration will begin at 1 p.m. on race day. 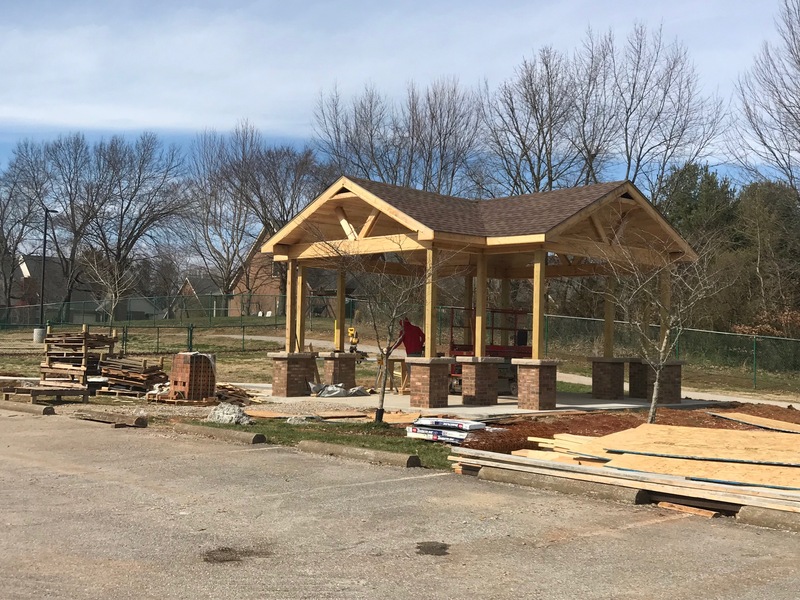 Registration is taking place now through March 29 at the Kummer/Little Recreation Center at 333 College Street. 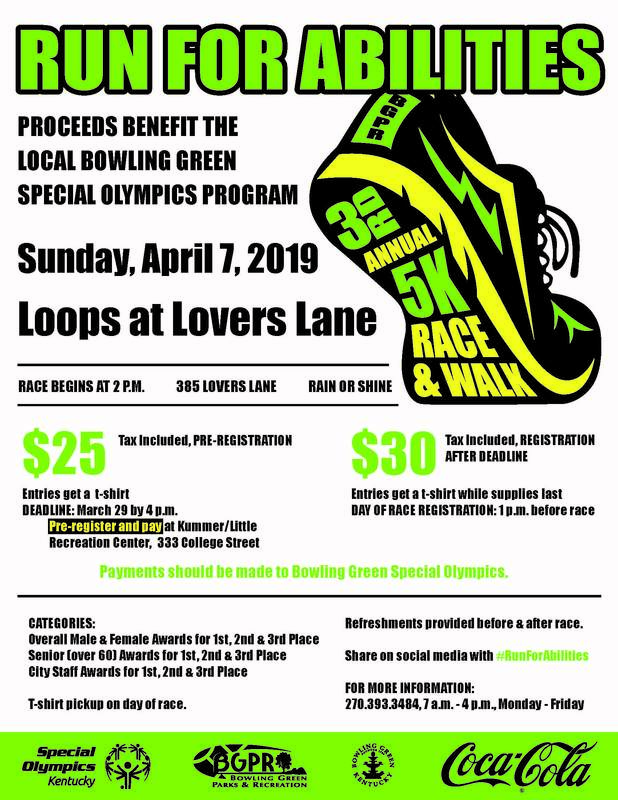 Come out to be a part of this great event! 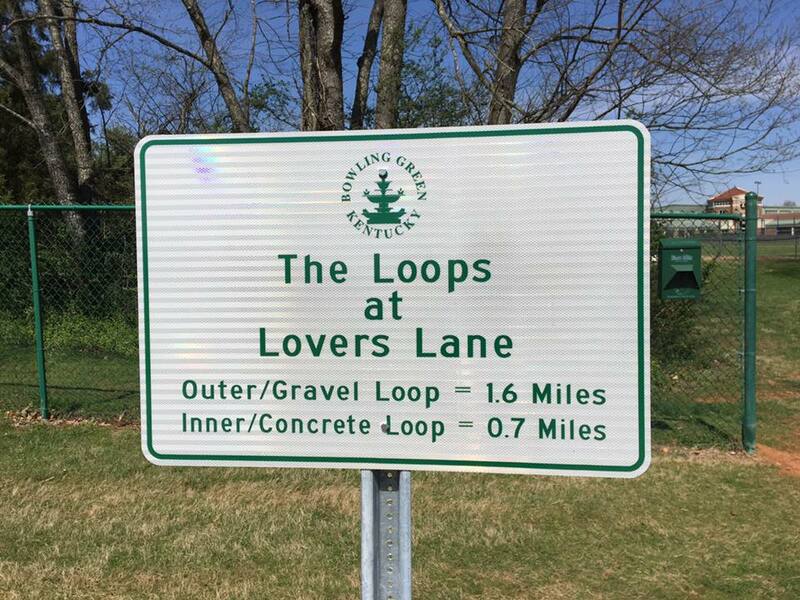 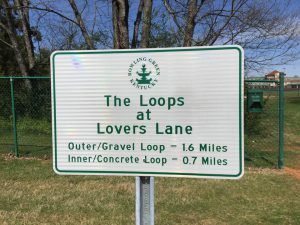 The Loops at Lovers Lane are located at 385 Lovers Lane.